Some foods were born best friends — salt and pepper, peanut butter and jelly, chocolate and caramel. Others have more recently become best friends — pineapple and pizza, mango and chili, bacon and jam. But since most of us don’t have the wisdom of a Michelin-star chef, we’re breaking down some unlikely food pairings to figure out why they’re so freakishly good. This edition: Apples and peanut butter. Science sides with Brady on this one: A study published in the Proceedings of the National Academy of Sciences suggests that our tongues have additional sweetness receptors that activate only when sugar is accompanied by salt. This explains why the salt in peanut butter can make an apple slice — especially a sweet apple slice — taste even sweeter (and therefore more delicious). It also helps that we evolved to gravitate toward sweet foods, since they tend to be high in calories. Thus, a salt-enhanced ultra-sweet apple makes for an extremely satisfying snack, whereas a lone apple is just that — a lone apple, good at keeping doctors away, less adept at satisfying mid-afternoon munchies. Brady is also a self-proclaimed spreader (rather than dipper). “I slice the apples into wedges and evenly spread the peanut butter over one side of each wedge,” she says. 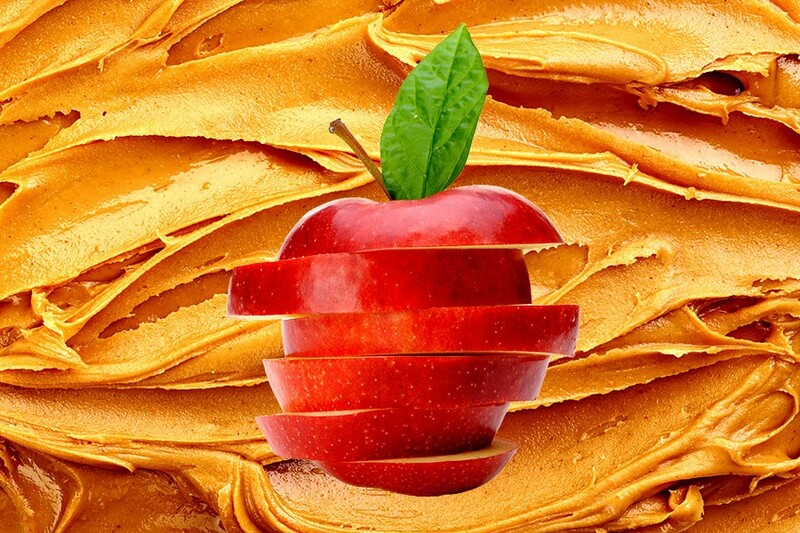 “The actual amount of peanut butter I put on each wedge depends on how sweet or tart the apples are.” Of course, how you combine your apples and peanut butter is a decision that only you make. Now excuse me while I wash all this peanut butter and apple juice off of my hands, pants, keyboard, desk and everything else I’ve touched over the past 15 minutes.